5 experts. will be speaking. Starts at 10:00 AM. We're excited to announce ScalaX2gether, to be held on Saturday 15th December at Skills Matter's home, CodeNode. #ScalaX2gether is organised by Skills Matter and the Community. Together, we will host a day-long event with a few workshops and challenges. 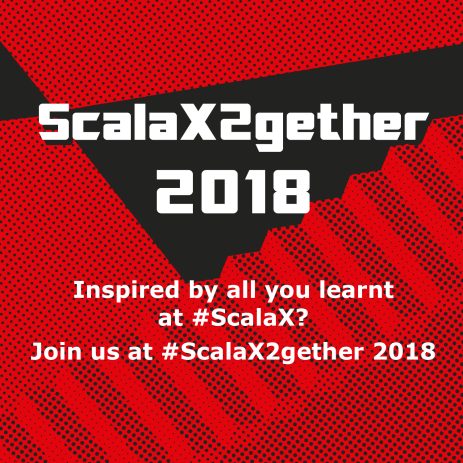 Following two days of awesome fun at Scala eXchange 2018, jump in right away with the latest technology on hand, join fellow ScalaX attendees and some of the most talented coders and experts, for ScalaX2gether and create something amazing! ScalaX2gether will provide the perfect opportunity to collaborate with members of Skills Matter community, taking part in challenges. With industry experts available across the day and with a number of workshops taking place, join us to complete a set of challenges based around ScalaX. You can come along with your own team, but it's also cool if you're on your own - we will be putting together teams on Saturday! We'll start with a series of introductions from our hosts who will discuss the challenges set. Where we'll invite all attendees create teams and decide upon sessions they would like to attend. We'll then split off to attend the sessions that interest us. Programme for the day can be found here. This workshop is intended to reach out to women, non-binary people, and all underrepresented populations who are interested in learning Scala. In this workshop, you'll learn the basics of functional programming in Scala, a powerful programming language. By the end of the day, you'll have built several doodles using Creative Scala, have a basic understanding of functional programming, and a grasp of Scala fundamentals. Previous programming experience is NOT required. 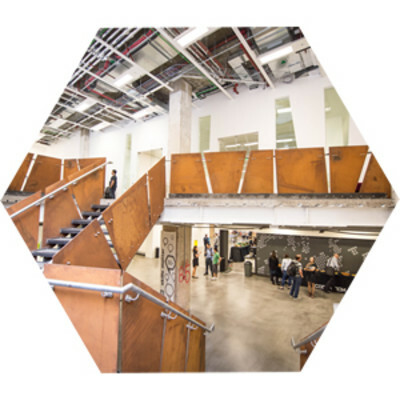 ScalaX2gether will be hosted at CodeNode, Skills Matter's community venue, which features plenty of spaces to collaborate and work on projects. CodeNode features fast and reliable WIFI, all spaces come with plenty of sockets, whiteboards. CodeNode's 9 metre long 'spacebar' will water and feed you throughout the day. We look forward to welcoming everyone at CodeNode! This is a free community event. There will be no charge for entry. Skills Matter is delighted to welcome you to the event and appreciate you as an integral part of our community whose contributions are invaluable. Our Code of Conduct is a guideline and promise to all members of our community. Skills Matter makes no claims to ownership over any type of intellectual property you may use at the event, including trademarks, copyrights, and patentable ideas. Fury is still in beta, but it already makes it very easy to write builds for Scala. In this workshop, your will learn about the process of creating, publishing and maintaining a build for a Scala project using Fury. Jon will describe Fury's model of workspaces, projects and modules. He will cover adding source and binary dependencies, compiler parameters, and show how Fury's schemas help to make maintaining cross-builds easier. Finally, you will explore less common features like using compiler plugins and running source-code generation during a build. Please bring your laptop and make sure that it's running Linux or Mac OS X. You will not need anything installed; the first step will be to install Fury. Accessing a database is something many applications need and most of developers have do to during their career. During the past 20 years, (relational) database access in the JVM world hasn't changed that much. Luckily for you, despite some of the limitations the JDBC spec has, there are now some libraries that give you the ability to access the database in a complete different way. This workshop will be an introduction to accessing a database using a functional paradigm using Doobie, a ""pure functional JDBC layer for Scala"". Laptop with Scala, sbt and some editor installed . Code (and some slides) can be found at here. Docker or Postgres installed locally. This workshop will be a cut down version of Underscore's Scala with Cats training course https://underscore.io/training/courses/advanced-scala/. You will cover a subset of the material from the full course based on the attendees' interests. Scala with Cats is aimed at experienced Scala developers who want to take the next step in engineering robust and scalable systems. The full course covers the key abstractions of monoids, functors, monads, monad transformers, applicative functors, and traversals. For this workshop, you should bring a laptop running an up-to-date version of Scala and SBT and an editor of your choice. Follow the instructions in the README at https://github.com/underscoreio/cats-seed.g8 to set up an empty project for the course. In his spare time he enjoys making maps, playing with cats, and taking short trips in his space ship. This workshop is intended to reach out to women, non-binary people, and all underrepresented populations who are interested in learning Scala. In this workshop, you'll learn the basics of functional programming in Scala, a powerful programming language. By the end of the day, you'll have built several doodles using Creative Scala, have a basic understanding of functional programming, and a grasp of Scala fundamentals. Feel free to share your workshop ideas or work on your own individual projects! In this workshop, you will explore Akka gRPC and how it can be integrated with Akka Http, Play and Lagom. gRPC is a schema-first RPC framework, where your protocol is declared in a protobuf definition, and requests and responses will be streamed over an HTTP/2 connection. On the client side, a client for the API. Renato is a software developer at Lightbend where he works in the Lagom Framework Team. Scala aficionado since 2009, he has been hacking in Scala and related technologies for fun and profit. He has a special interest for Event Sourcing/CQRS, DDD and Microservices Architectures. He's the founder of BeScala (Belgian Scala User Group) and maintainer of Lagom Framework. Scala's type system is unique and under-appreciated, in that its support for dependent types and its elegant abstraction of type classes into the higher-level idea of implicits can allow engineers to build libraries that self-assemble into complete programs when given the appropriate data types. You will explore what implicits mean, how to understand them, how *not* to use them, and how to build libraries that leverage them to allow downstream users to have their programs largely be written for them – as long as they provide their domain-specific types. You will use examples in machine learning, but no prior experience with ML is required. Along the way, you will learn some basics of Shapeless, but no prior experience with Shapeless is required. Laptop with SBT, an editor or IDE, and git. Jeremy is a senior software engineer in the Algorithms Engineering group at Netflix, where he works on building machine learning applications and libraries. As a longtime Scala enthusiast, Jeremy also works to evangelise functional programming techniques and type level approaches. He is active in the open source Scala community, and makes a regular hobby of asking and answering questions on Gitter, contributing to open source projects, and maintaining a few (with varying degrees of success). Join us at Scala eXchange London 2018, Europe's largest gathering of Scala engineers, to discover where Scala is headed in 2019 and to meet, learn and share skills with 1,000+ other passionate Scala developers. We're excited to announce the return of the Scala eXchange Community Day - ScalaX2gether, to be held on Saturday 16th December at Skills Matter's home, CodeNode. The #ScalaX2gether is organized by Skills Matter with the aim of hosting a community day with a few unconference sessions. We're excited to announce the first ever Scala Exchange Hack Day, to be held on Saturday 12th December at CodeNode in partnership with Underscore and the London Scala User Group. Scala eXchange 2015 continues at Skills Matter's new home CodeNode for the Scala eXchange Party! Starting at 6.30pm on 10th December 2015! Want to hear the latest happenings in the world in Scala? Interested in hearing how your peers are approaching similar software challenges? Then join us at Scala eXchange 2015, Europe's largest community conference on Scala. Join us at Europe's largest and most comprehensive annual Scala conference in London. The Scala eXchange brings together the world's top Scala experts with Europe's passionate community of Scala developers. The Scala eXchange returns to Skills Matter for it's third year - share, learn and innovate with 350+ attendees, 60+ presentations, and the world's greatest Scala Rock Stars! Skills Matter is very pleased to announce our first-ever annual Scala eXchange, on June 15-16 2011 in London.